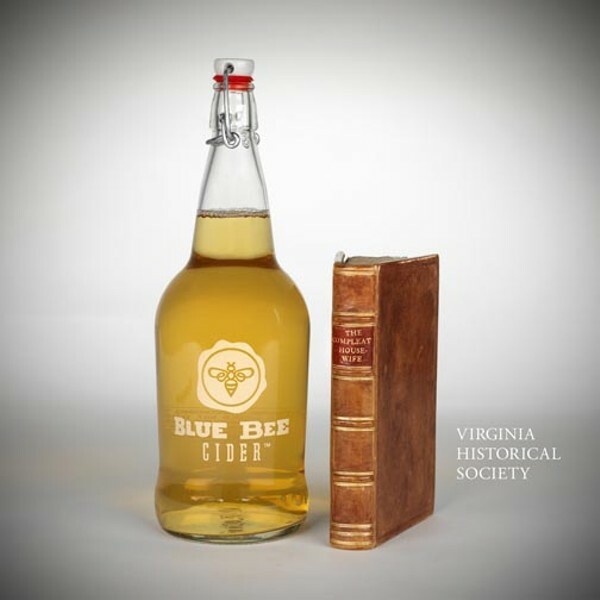 Ardent Craft Ales and Blue Bee Cider teamed with the Virginia Historical Society last year to experiment with old recipes from its archives. Ardent found a low-alcohol, 300-year-old beer recipe made with persimmons that looked interesting. Old recipes are a little vague, and this one, from a cookbook assembled by Jane Randolph Walke and her mother, Jane Bolling Randolph, was no different. The brewers at Ardent had to imaginatively fill in the gaps. The result, Jane’s Percimon Beer, was an easy-drinking, pale peach brew, slightly sweet, with a hint of citrus from the persimmons. Low alcohol was key — beer often accompanied each meal, including breakfast, because of the dicey water quality in the 17th and 18th centuries. The folks at Blue Bee Cider also were curious about how its product had been made. Owner Courtney Mailey, thumbing through “The Compleat Housewife,” a British cookbook published in this country circa 1739, found a recipe that became Blue Bee’s Compleat Cyder. A sweet but potent concoction, the cider was fermented in a barrel and made with Albemarle pippin apples, South Carolina raisins and a little cane sugar.